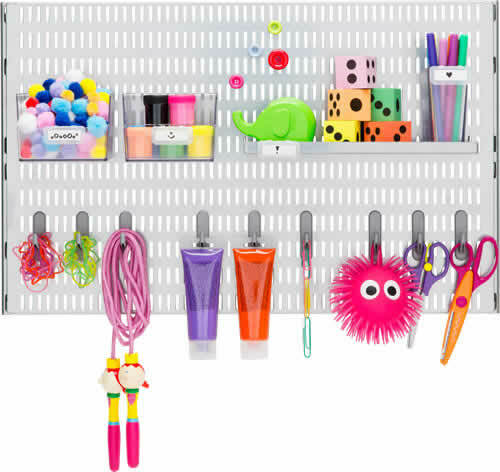 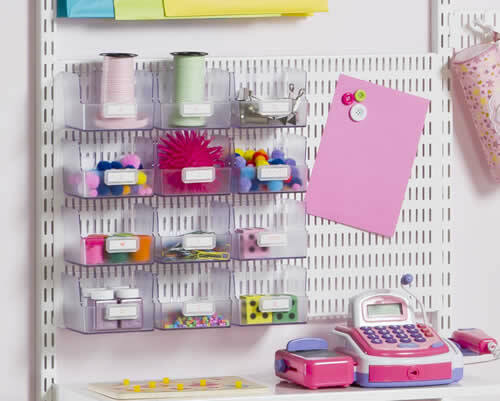 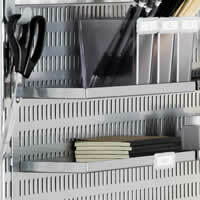 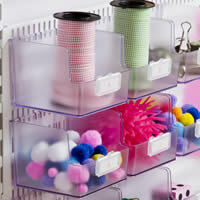 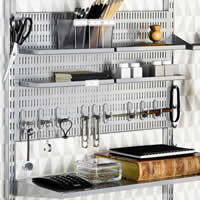 Our multi-functional 60cm wide elfa craft board has been designed to neatly store and organise all your craft supplies. 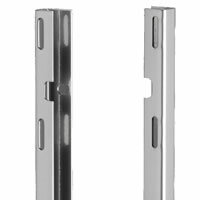 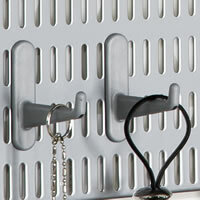 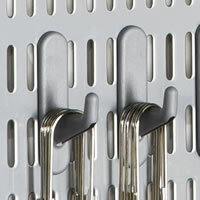 This sturdy Swedish-made steel craft board can be neatly clipped between two elfa wall mounts (sold separately, see below link) or between wall bars as part of your wider shelving and storage solution. 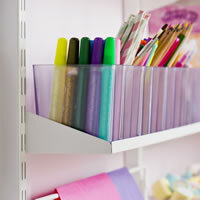 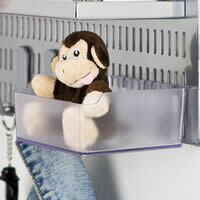 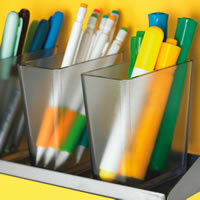 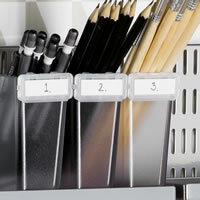 Bespoke by adding our wide selection of Elfa Craft clear perspex storage boxes, shelves and trays plus craft tool hooks.